ATTENTION GRADE 12's! Win one of sixteen $1,000 bursaries! What is RE/MAX Quest for Excellence? The Quest for Excellence Program is a bursary program for grade 12 students in Western Canada. It was established by RE/MAX of Western Canada to recognize the success and ongoing pursuits of Western Canadian students in regards to leadership and community contribution initiatives. 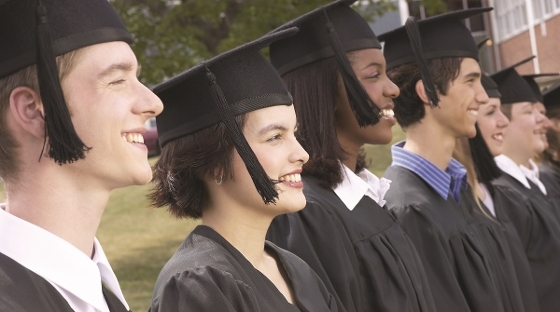 RE/MAX of Western Canada will award 16 bursaries of $1,000 each to qualifying Grade 12 students. In addition, the 16 bursary winners will be entered into a draw and one lucky recipient will receive a RE/MAX Hot Air Balloon ride for two. Bursary winners will be notified and all winners will be posted in April 2015. The Quest for Excellence is open to all Grade 12 students attending high school from September, 2014 - March, 2015. Grade 12 students may not have participated in graduation commencement ceremonies in the past. Applicants must be a resident of one of the following provinces/territories. Students are to convey the contributions they have made to their communities in a short online essay, maximum 1,250 words. Key qualities students should demonstrate are leadership, motivation and communication skills. Other attributes may include volunteering, participation in charitable events or fundraising, and contributions that enrich the lives of others and their communities. Note: All entries become the property of RE/MAX of Western Canada and photos and names of winners may be used in print publications and media. Complete the following on-line application form. Deadline for entry is March 9th, 2015. A maximum of one on-line essay per student. If you have any questions regarding this program, please email Kelsey Woodliffe, kwoodliffe@remax.netat RE/MAX of Western Canada.